The auto transport business faces unique challenges. Chargeback management can be very taxing for any organization, but auto haulers in particular deal with chargebacks at an especially high rate. There are numerous causes behind this—most of them very much preventable. 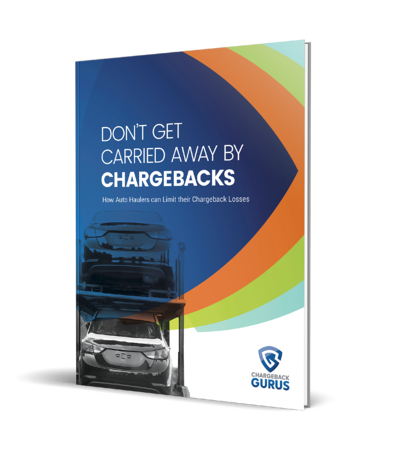 This new guide, auto haulers can understand the causes behind chargebacks and implement the best practices for chargeback management and prevention. It's an invaluable resource that will allow brokers to lower their chargeback rates, recoup fraud losses and widen their profit margins.